This blog is part of a series on Agile Trojan Horses – Covert Appetizers for Agile Discovery. This series helps spark conversations that restore focus on Agile Fundamentals, whet the appetite to discover more about Agile and help apply Agile in day-to-day decision-making. then tunes and adjusts its behavior accordingly. – Create a plan for implementing improvements to the way the Scrum team does its work. Some common impediments prevent teams from applying the agile principle of regular reflection and from having effective Scrum tetrospectives. – LACK OF ATTENDANCE – Team members not showing up to the retrospective. - LACK OF PARTICIPATION – Not hearing anything at the event besides the sound of crickets – team members showing up, but not sharing anything. - LACK OF TRANSPARENCY & INSPECTION – Meaningless conversations – no transparency and no inspection. Nothing other than whining, finger-pointing and complaints. – LACK OF ADAPTATION – Meaningful conversations – healthy transparency and inspection but no meaningful adaptation. No follow-up actions to make things better. Besides creating safety, one of the most important elements needed for a team to have meaningful inspection and adaptation is an ice-breaker. 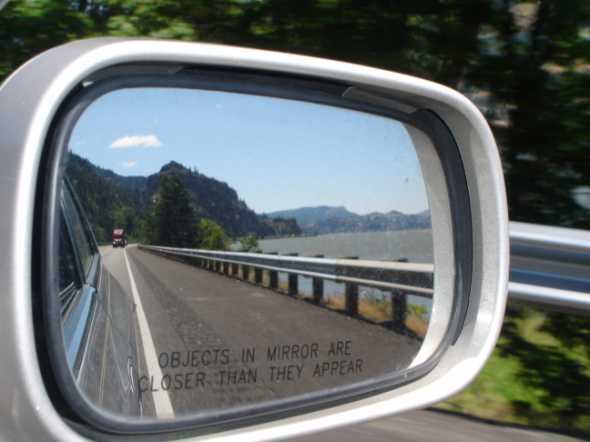 For many team members new to agile, the act of reflecting on the team in a safe setting, is awkward and unfamiliar. 2. What could have worked better? 3. What actions will we take in the coming sprint to make it more effective? 4. What was the most valuable knowledge we gained in this sprint? 5. What contributions would we like to acknowledge in this sprint? – HUH…? - We are unaware of or unclear about what this means. – HEALTHY – Our team is healthy in this area. No adaptation needed. – NEEDS SOME ADAPTATION – Our team could use some adaptation here. – BLOCKED! NEEDS URGENT ADAPTATION - Our team needs urgent adaptation here. If the team is co-located, you could create a grid on flip charts and the team could put up colored posts. Encourage each team member to also jot down why they chose a particular post-it, maybe with an example, if they can. If not, it is completely OK, they can just put up a blank post-it. If the team has specific ideas on how they might adapt the next sprint to be more effective, they can jot them down on a post-it and put it up in the last column. If the team is distributed, you could send them an online survey and have them respond either before the retrospective event or during the initial portion of the event. We begin with a section adapted from the Agile Manifesto. Reflect on how aware your team is about the Manifesto and how effective you all feel you were in applying it to your work. time-box this section, and review feedback as a group. The next section encourages reflection on the Agile Principles. Ask the team to consider each principle and share their thoughts on how effectively you all applied them. Discuss as a group. Let’s start reflecting on one of the frameworks under the agile umbrella – Scrum. At a high level, the Scrum framework has three core objectives. As a team, reflect on whether the processes you used helped accomplish these objectives. Scrum is not just about rituals or “what” we do as a team. The heart of scrum are the core Scrum Values that define “how” we work together as a team. Pull up the Five Scrum Values and allow the team to share their thoughts on the team culture and how close it was to being true to the Scrum Values. Discuss as a group. 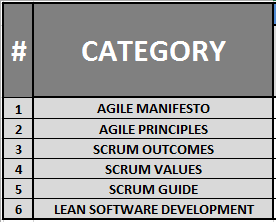 As described in the Scrum Guide, Scrum is based on the three pillars of empirical process control. Ask the team to share their thoughts on how effectively the team applied empiricism in their work. Discuss as a group. Mary and Tom Poppendiek have done some amazing work on how the lean principles from manufacturing offer a better approach to software development. These principles are available on their website – http://www.poppendieck.com/ – and I have taken the liberty to adapt them for our approach. Reflect as a team on how effective you were in applying the lean mindset and discuss as a group. By now, hopefully, the silence and crickets at the beginning of the retrospective have been replaced by meaningful conversations about how the team can inspect and adapt its work. Hopefully these conversations have dispelled some common myths about what agile is and is not and acted as an appetizer for the team to explore some more about agile software delivery. Before you end the session, ask the team to pair up and pick up at least one action item to make a thin slice or process improvement in the next sprint. Without adaptation, the transparency and inspection of a retrospective are meaningless. If there are too many options to choose from, use dot-voting to help rank the options and pick the ones that fit the capacity constraints of the team. Try out this approach even if you begin with baby steps by reflecting as an individual. Either way, please share your thoughts. If you like, you can use this Excel spreadsheet as a starting point. Either way, please share your thoughts. Keep calm, and Scrum on! 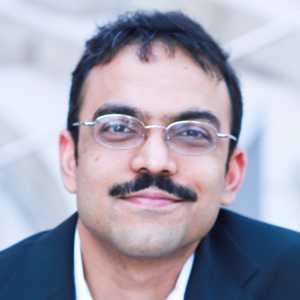 Ravi Verma is a Public Speaker, Agile Coach, Professional Scrum Trainer, Evidence Based Management Consultant and Blogger with a passion for helping teams recapture the magic of making I.T. As the Founder and Org Whisperer at SmoothApps, Ravi blends ideas from the world of Technology, Entrepreneurship and Organizational Development to develop strong teams and inspiring leaders at all levels of an organization. Ravi has a Bachelors Degree in Computer Engineering from R.V.C.E., Bangalore and a Masters in Entrepreneurship from SMU, Dallas. He received a Certificate in Organizational Development from DePaul University and Linkage Inc and is an MBTI Certified Practitioner, with a Certificate in Advanced Conflict Resolution from Kilmann Diagnostics. He is also trained in leading organizational change based on “Leading Bold Change” by Dr. John Kotter. You can learn more about Ravi at SmoothApps.com and connect with him on LinkedIn, Twitter, Facebook and Google+.